For the first time, Showtime Networks Inc. is offering viewers the opportunity to purchase the blockbuster WBC Heavyweight World Championship Deontay Wilder vs. Tyson Fury on SHOWTIME PPV directly through the SHOWTIME app. Subscribers and non-subscribers will be able to purchase and live stream as WBC World Champion Wilder defends his title against lineal champion Fury via the SHOWTIME app on Apple mobile and AppleTV (4th Generation) devices, Amazon Fire TV devices, Android phones and tablets and directly on Showtime.com for $74.99 or through cable, DBS, telco and streaming providers nationwide. The showdown of undefeated heavyweights will air on Saturday, December 1 live at 9 p.m. ET / 6 p.m. PT from STAPLES Center in Los Angeles. For more information on where the fight is available and pricing per distributor, visit: SHO.com. The bout is currently available for purchase on Showtime.com and will roll out on select platforms via the SHOWTIME app during fight week. Customers who purchase the PPV event through the SHOWTIME app and have never subscribed to the SHOWTIME streaming service will receive a 30-day free trial offer. 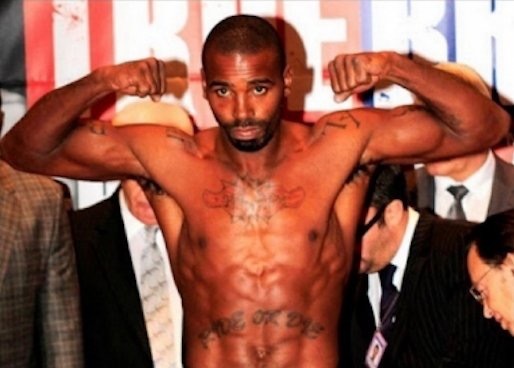 Viewers can purchase the fight through a number of distributors including ATT U-Verse, Comcast, Cox, DirecTV, Dish, Frontier, Optimum, PlayStation Store, Spectrum, Verizon Fios and more. 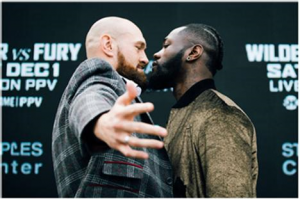 The Wilder vs. Fury fight will also be available through Fathom Events in movie theaters and at select bars and restaurants nationwide. Showtime Networks will continue to roll out PPV capabilities on additional streaming devices in time for the highly-anticipated SHOWTIME PPV event of Senator Manny Pacquiao vs. Adrien Broner on January 19. Wilder vs. Fury tests the raw power of the 6-foot-7 Wilder against the unmatched size and mobility of the 6-foot-9 Fury in the most significant heavyweight event in the U.S. in more than 15 years. America’s only true heavyweight champion since 2007, Wilder has 39 knockouts in 40 professional fights, including knockouts in all seven of his title defenses. Fury is a former IBF, WBA and WBO heavyweight world champion who is undefeated in 27 professional fights and holds boxing’s coveted lineal heavyweight title.